EPF offers the Highest Interest return among other debt instruments. At the 8.8%, there is no contest for the EPF, only the Public Provident Fund (PPF) nearly matching it at an interest of 8.7%. However, the PPF bears an annual limit of Rs 1.5 lakh on investments. For the average worker in India, juggling between investment plans, funds and analyzing the returns can be quite a herculean task. 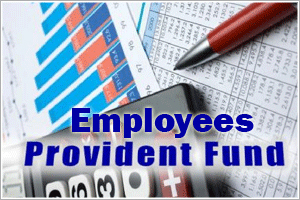 A simple, effective way of saving and planning for retirement is provided through the Employees Provident Fund (EPF). Although there are many options available, here is why the EPF is the best long-term savings instruments for the Indian worker. Under Section 80 (C) of the Income Tax Act, the employee contribution to a limit of Rs 1 lakh per year is subtracted from the taxable income. Additionally, the employer's contribution and Interest earned is exempt from tax. The only other similar investment instrument to EPF in terms of interest earned is the National Savings Certificate (NSC), however, interest on NSC is taxable after five years, unlike EPF. Bank deposits may offer a higher return however the income earned from bank deposits is fully taxable, resulting in post-tax returns of barely 6-6.5%. EPF is designed for long-term savings; however, a withdrawal of an account that is less than five years old will result in forfeiture of all tax benefits accorded to it. It is advisable to transfer an account and continue accumulating to ensure that you save on tax as well as not spend the corpus that is best kept for your post-retirement years.